Okay, I’ll freely admit that that turned out better than I expected it to. 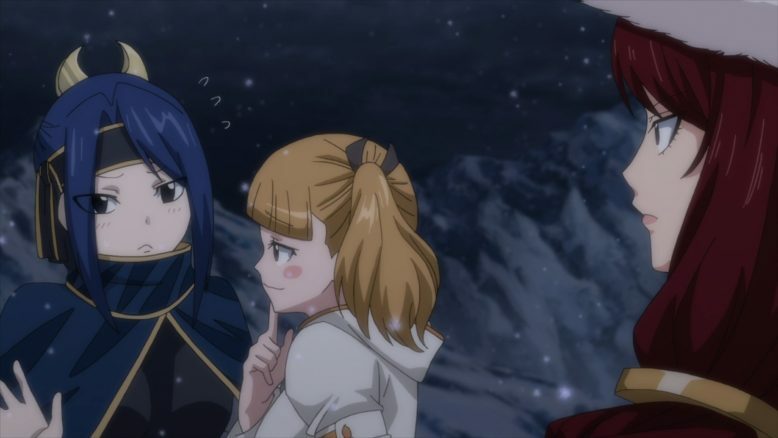 It still wasn’t great, as seems to be the more common occurrence in this Final Season for Fairy Tail, but at least it was tolerable. At least it wasn’t bad, for whatever that’s worth. Again, the primary issue that we’ve seen in this arc just… Keeps coming back. This story and the ideas contained within it, simply needed more time and more effort to properly work. The end result, as is evident this week yet again, is that the audience can at the most, just appreciate the general idea of what’s being presented here. Case in point, The Historia thing was thankfully not dragged out too much, and the resolution for it kind of made sense. 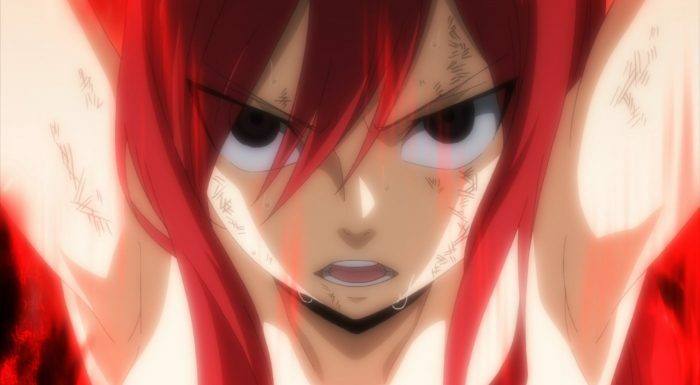 Erza was her usual “Gaar!” self and basically just stared her way out of her current predicament, while everyone else kind of overcame their past enemies because they were either; stronger than before, or had some kind of help/mental strength to get them through. 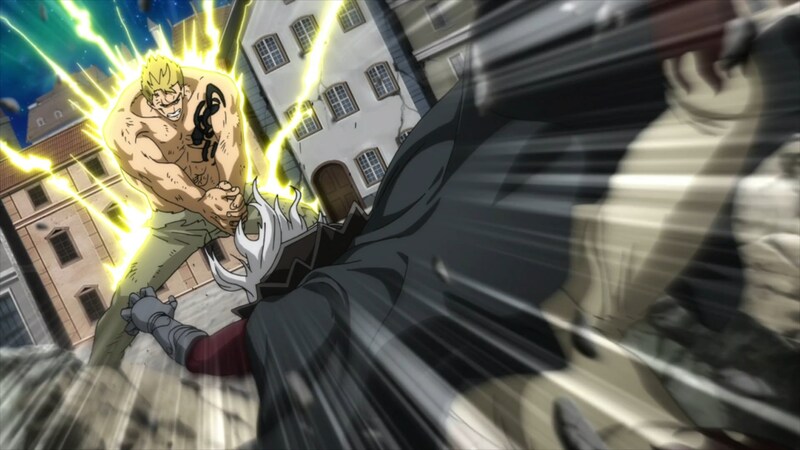 And of course, Jellal proceeded to unleash the mother load of attack spells when he saw that Erza had been harmed. I will say, that moment, just taken by itself, was pretty darn cool, and it felt pretty satisfying to see him unleash it on Neinhart, a dude who’s been arrogantly playing with people’s pasts. Of course, while we saw Neinhart’s plot get taken down, we didn’t actually see him get killed/captured, so there’s a good chance he’ll be back eventually. Now, before I do move on from this Historia stuff, which did take up the bulk of the episode, I do want to make some notes of things. The first and foremost was the Gray and Lyon vs Ur situation. 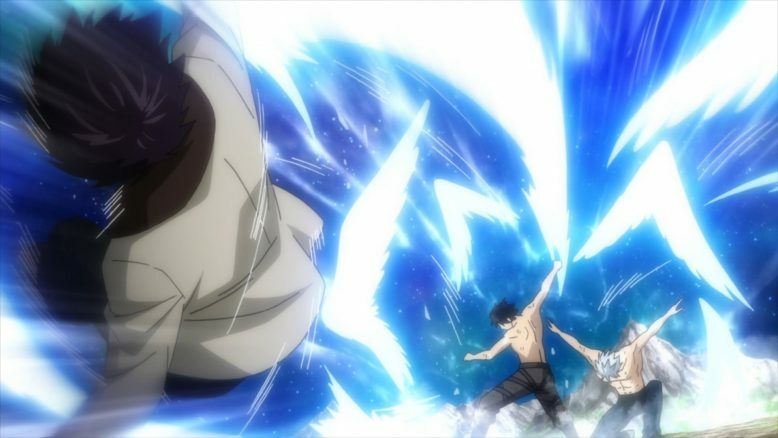 I actually thought the story made a lot of sense, including how Gray’s past experiences gave him the power to get over his teacher’s loss and his role within it. It also made sense that Lyon hadn’t exactly gotten those experiences, and so still had some mental hang ups about it all. Having said that, the quick way in which this was resolved, felt like a disservice to the rather powerful idea itself. 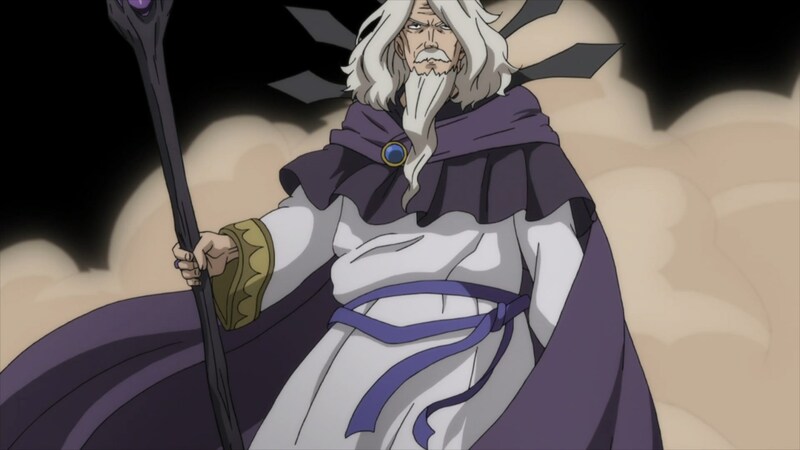 Had the Historia thing been its own arc, then Gray and Lyon (With perhaps some other Fairy Tail/Lamia Scale members) would’ve had to defeat a group of enemies that culminated in Ur being their final leader. Again, if this Historia thing had been used properly, then various Fairy Tail members would’ve gone chasing after word of certain characters spreading around, and then would’ve had to reface their inner demons, so to speak. I mention that hypothetical, because its quite clear that while the ideas on display here, whether for Lyon or other characters were good, they just couldn’t hit because of how quickly everything had to happen. We got a few scant moments for Lyon and Gray, then we also had to fit in Juvia and Meldy, not to mention Laxus vs Purehito again. All of these stories got the short end, because their simply wasn’t enough time. Thus, Despite how emotionally powerful the concept of seeing dead people from the previous part of Fairy Tail’s story was, it just wasn’t treated very respectfully or seriously. It was just another plot point to quickly bring up, and disregard. Certain moments worked better than others, but overall I guess it averaged out to being watchable. I wasn’t recoiling or annoyed by what we got here, just disappointed that I couldn’t “feel” more given how quickly the show and story rushed through this idea. Which of course, brings us now to the other characters and what’s coming next. We’ve got two big battles/events coming up. One, is with August, where Brandish will end up trying to help Natsu and Lucy negotiate with him it seems. That part of the story I’m a little less excited about, mostly because I see it going one of two ways: Either August ends up getting defeated by Natsu, or we get some kind of weird comedy segment that feels out of place. 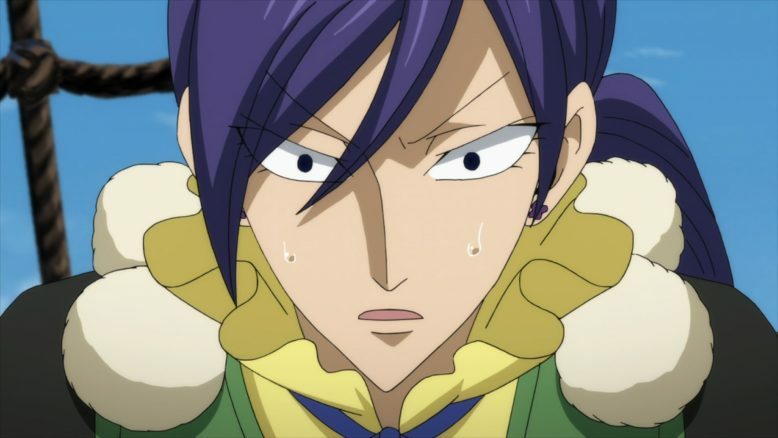 Instead, what I’m more interested in is Lady Irene, who its clear given Neinhart’s earlier hints, is Erza’s mother. Its a bit interesting to see that Erza’s mother is not actually going to run into her own daughter, and instead we may potentially have Mirajane be the one to take on her friend and rival’s parent. 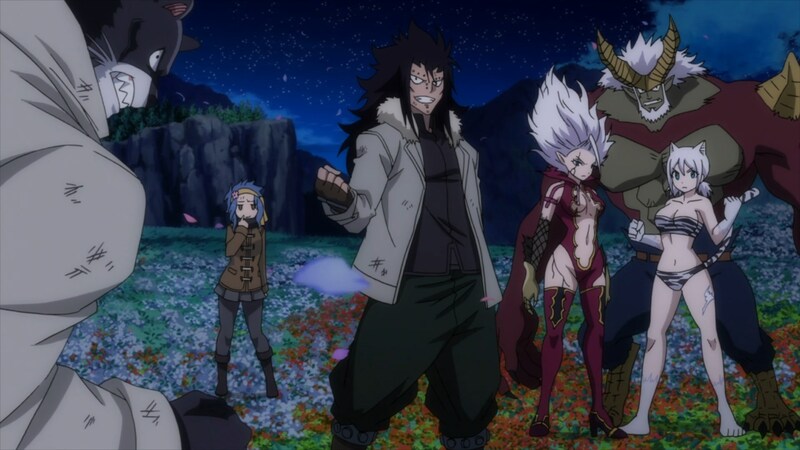 And of course, on this side we’ve also got Gajeel and Sabertooth, but against 3 of the Spriggan twelve, it seems like this is going to be a really intense and tragic battle. I’m not entirely sure, for once, if we’re going to see characters survive this. Gajeel has the most death flags going, especially given his earlier “intimate” moments with Levy, and quite frankly, despite there being both Gajeel and Mirajane, I don’t see the two of them being able to take down three of the Sprigann 12, especially when one of the said three is the strongest from among them. All that stuff, definitely leaves us in a complicated place. The next few episodes are certainly going to focus in on this two fronts, but again, I’ve got concerns just moving forward here. From the preview, it seems like both the August and Irene sides of the battle are going to be featured next week, which sounds like a horrible idea. There’s enough characters and stuff on each side, where I think each event deserves exploration on its own, with its own couple of episodes, that don’t run into each other. Of course, at this point I’m expecting the worst most of the time. The best case scenario I can see is that the bad storytelling choices don’t end up completely ruining the more epic moments, and hopefully we do get something along those lines. Ah well, I guess we’ll have to see what comes our way, next week. Note: I do want to apologize about how bad I’ve been responding to comments. I’m currently, once again, dealing with some stuff in my personal life that has me extremely busy. That’s also why these episode blogs come out a day late almost consistently, and why both this show and Index III are reviewed on the same day (on a Sunday, at the end of the weekend). I am reading your comments and will try and get to them, so please excuse how bad I’ve been about all of that.